Happy Monday guys! If you’re wondering which Elf products are a hit and miss, don’t worry! I made a list of products that I personally love and use all the time, and I thought I would share these gems with you all. The products are not in any kind of particular order. For the longest time I’ve strayed away from Elf foundations because, honestly Elf is so affordable and there’s a lot of hit and misses, and I assumed their foundations was one of the misses. I recommend this foundation serum if you wear little makeup. It’s great for “natural looks” it doesn’t cover much, but I am happy I found this little gem because it’s almost the same thing as Mac’s mineralized foundation. No joke. I have no particular trio in mind, I love them all. If I had to choose one it would be the “Peach Please” trio. You can increase the pigment of the baked shadows while wetting a brush before using the shadow. It does what it says it does, it sets the undereye after you apply concealer. No creases is a plus! It’s $1 and it’s smooth and nicely pigmented. Boom! This brush is one of my favorite brushes ever! It’s so nice and cheap. This brush is so nice to highlight, it’s affordable and sooooo good. What do you think? 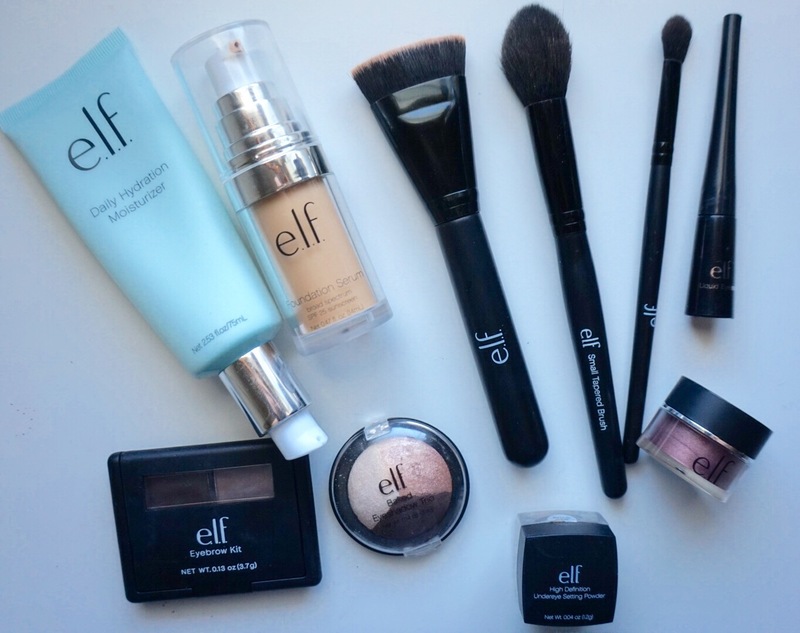 Do you own any of my top favorite Elf products? Comment below and let me know your favorite Elf products. All opinions are my own, I’m not partnered or sponsored by Elf. All products were purchased with my own money. I love E.L.F brushes! They last so long and are so cheap! Great post!